Apologies fellow bloggers for my delay in this next installment of the 2015 Reading Challenge. Time seemed to get away from me this month, which makes sense since it’s the shortest month of the year. But fear not as I’ve finally completed another book on my long list of categories. If you’ve been following my challenge, you’ll remember my latest “Jurassic Park” post with A Book That Came Out the Year You Were Born. However, this next theme takes a complete 180 in its subject matter: the classic romance. I meant to post this closer to Valentine’s Day but at least it’s still within the month of February. When I first started thinking of classic romance novels, several came to mind instantly: “Jane Eyre” by Charlotte Brontë, “Wuthering Heights” by Emily Brontë. But above all the other classic romances, one author outweighs them all: Jane Austin. 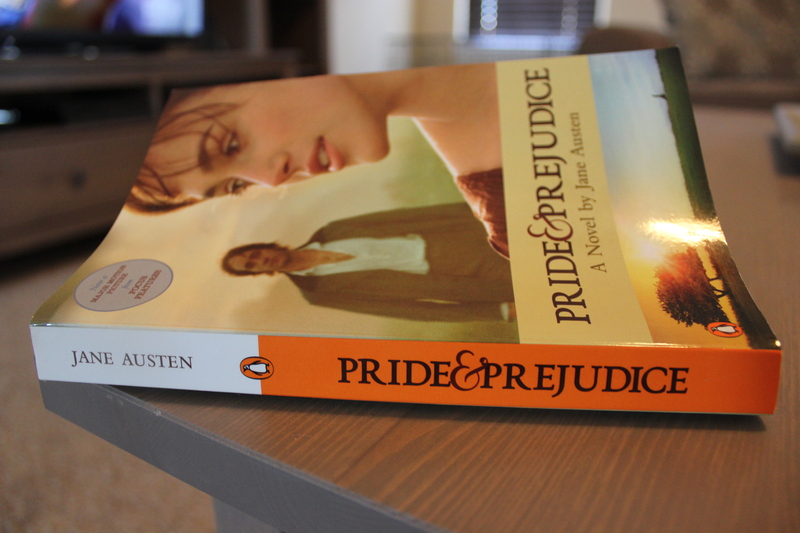 It was with this conviction in mind that I decided to read “Pride and Prejudice” for the first time. I’ve had a copy of this novel in my bookcase for what feels like a decade now, and I’ve never read the entire thing. 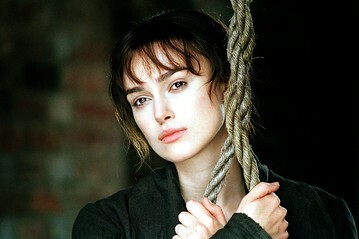 I’ve seen the movie version with Keira Knightly of course, but never read the novel itself. When I was younger, I had a difficult time understanding the old-fashioned language and felt myself constantly needing to look up terms and phrases to get through it. Let’s just say it wasn’t fun at all. Fast-forward years later, and I finally felt it was time to overcome my past difficulties. While the language was still tricky at times, I just kept reading and found myself having quite a hard time putting it down. There were even times that couldn’t stop talking with a British accent in my mind. So as I go forward with this review, the biggest lesson I want to pass along is this: when you open your mind to trying new things, you can accomplish anything. It’s no surprise then that the novel opens with the arrival of a Mr. Bingley, a young bachelor who captures the heart of sister Jane during his stay at Netherfield Park. 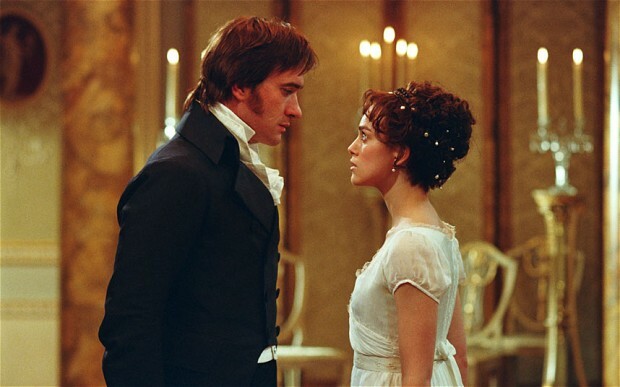 But this love story becomes secondary when you find out Mr. Bingley has brought with him the infamous Mr. Darcy. Ouch! The entire first half of this book does not bode well for Mr. Darcy’s personality as Elizabeth discovers more and more poor qualities associated with his character. But as we all know, nothing is exactly what it seems. When Elizabeth’s feelings for Mr. Darcy begin to change, it really becomes a story of how his pride and her prejudice lead them down the road to love. We’ve all heard the start of this love story before: Man and woman meet, instantly hate each other, continue over time to fall in love, get married and live happily ever after. It’s become almost a cliché at this point. But what makes it so enduring with Austin’s book is that she was one of the first to come up with it. In reflecting on the title of this novel, the two main characters are without a doubt the embodiment of these definitions. Mr. Darcy is constantly reprimanded for his prideful appearance. Many characters comment on the arrogance of it or the way it mortified others around him. While Mr. Darcy does exhibit pride, it’s not the rudeness of it that hurts him. His pride comes from keeping damaging secrets and by not sharing those happenings, it certainly finds a way to harm those around him. 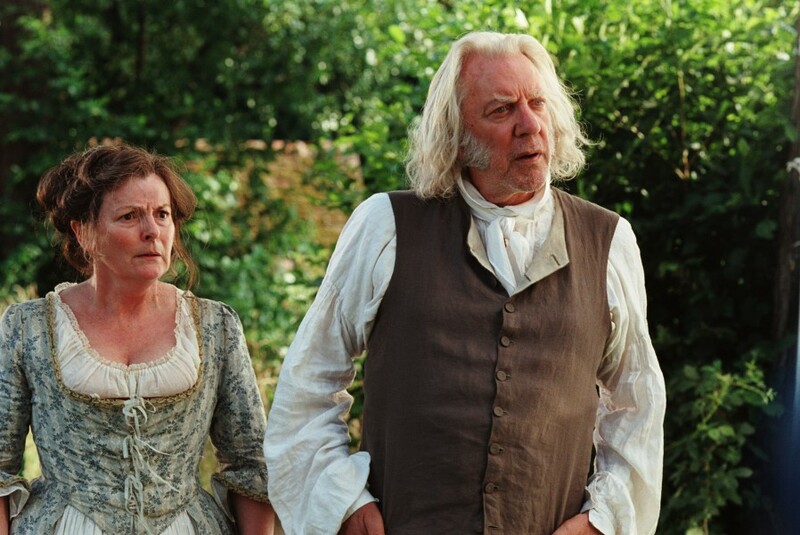 Elizabeth’s own prejudice against Mr. Darcy is also her downfall. Misled by others, Elizabeth forms an unfair opinion of who Mr. Darcy is without ever giving him a means to justify his actions. Even when he tries to explain his past, she still has a prejudice against him, giving her only guilt and remorse in return. But as much as these characters have their faults, love still finds a way to shine through (as corny as it may seem). It just goes to show the power of unconditional love — the best kind of all. While this statement still carries truth even today, it contained even more weight with it during that time period. All women had was their reputation and without it, they could have no hopes or prospects for marriage and money. And while the reputation of a man was still important, they unfortunately and unfairly had a little more leniency in their behavior. It just goes to show the oppressive attitude women in the past endured and still fight against in present day. I must say after reading this novel I have an even greater respect for Jane Austin. If it weren’t for the reading challenge, I don’t know if I’d ever read this in my lifetime, so thank you. If I take anything away from this book challenge, it’s to give all reading material a chance, not base a novel by its cover and to drop my pride and prejudice. Remember to comment below with what book you think will be included in this next category: A book written by someone under 30.